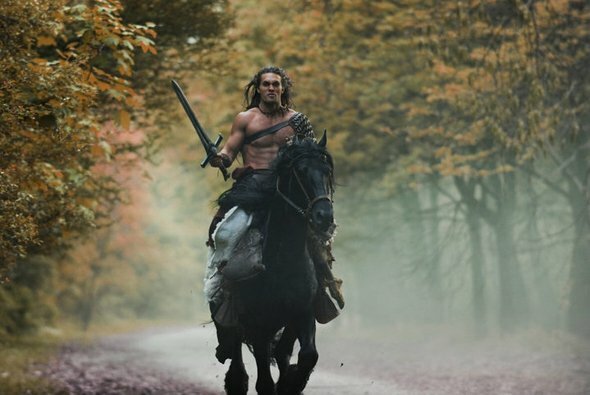 After the last image of the new Conan the Barbarian came out earlier this month, nobody was in any sort of rush to see more of what the film has to offer. 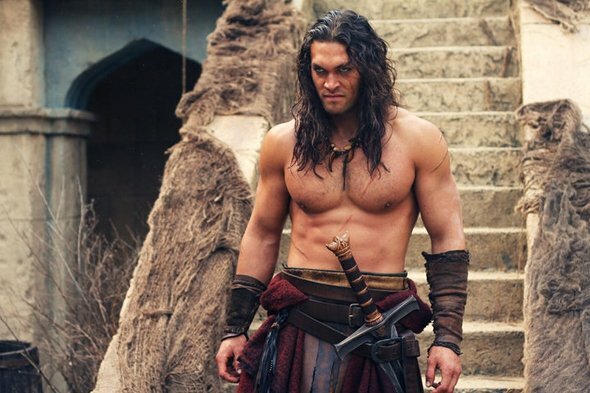 The picture looked more like a computer-made painting than a still and the look of Jason Momoa's face was just stupid. Now two more photos have popped up and hopefully they will cleanse your palate. The photos have been released via the movie's Facebook page and while they are certainly better than the last, has anyone noticed a pattern developing? It's possible that they simply aren't ready to release images of Rose McGowan, Ron Perlman, Rachel Nichols or Stephen Lang yet, but the first four photos have been nothing more than Conan standing around looking angry. At least one of these pictures has something that makes it stand out: he's on a horse. Check out the images below and head over to Facebook to see the pictures in their highest resolution.